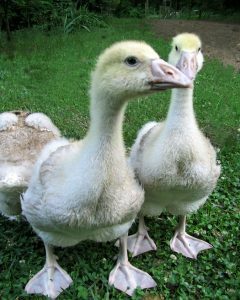 The American Buff goose is an extremely rare poultry breed that was developed in the USA, and is mostly used by small farmers. 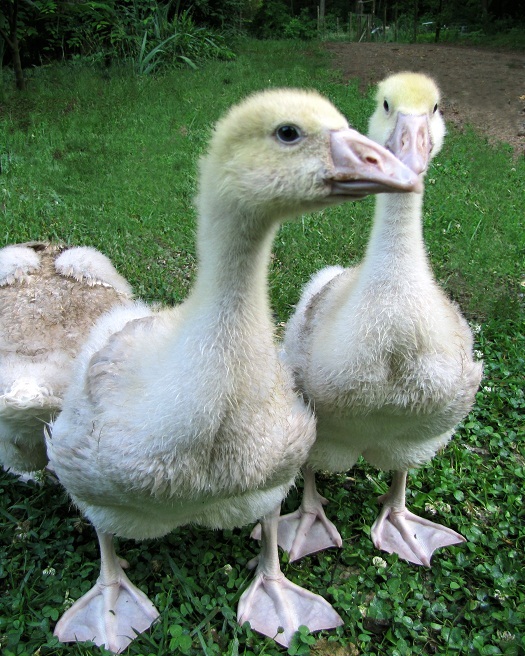 They are the largest among the geese belonging to the medium weight class. 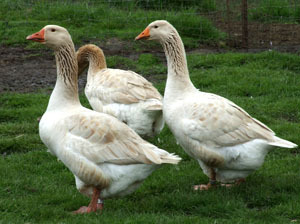 These gentle geese do not need extreme care, and are a good choice as pets for a home flock. 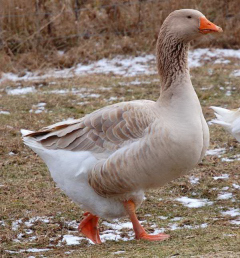 Interestingly, their buff color is not common in waterfowls, with most other wild and domesticated geese having combinations of gray, white, and black. 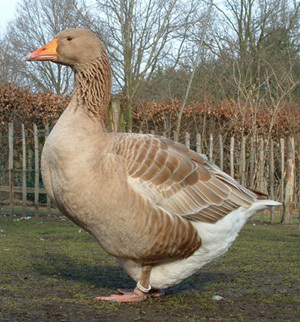 The American Buff Goose was produced from the Greylag breed of geese of Europe and Asia, like most other breeds of domesticated geese. 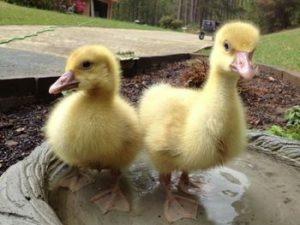 However, it is not clear whether this breed has been independently bred from a mutation with grey geese or from the imported stock of buffs from Europe. The American Livestock Breeds Conservancy has enlisted this rare breed in the ‘critical’ category on their conservation priority list. In 1947, the American Buff was recognized for the first time by the ‘American Poultry Association’. They produce almost 10-25 eggs each year. 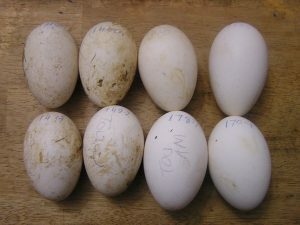 The eggs are large and white. The meat of the American Buff is a tasty, rich, and dark. The American Buffs have been included in the ‘Slow Food USA’s Ark of Taste’ – a catalog of heritage foods that are in danger of extinction. In 2003, there were lesser than 500 breeding American Buffs, and 5 or lesser breeding flocks.